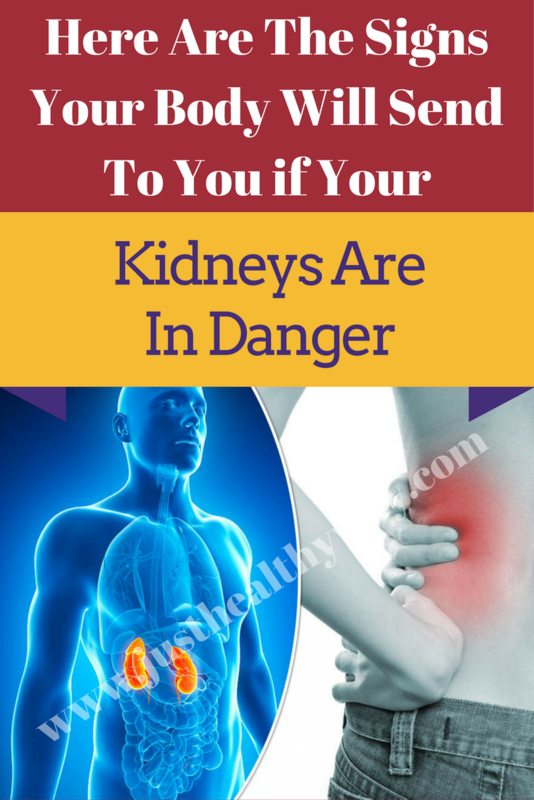 There are several signs that your body will give to you if your kidneys happen to be in danger. Each organ in the human body has its particular function and is very important for the overall well being of a person. The kidneys, as we already know, are a part of the urinary tract. Their main function is to remove all the toxins out of the body and filter all the fluids. So, each day, the kidneys filter about 100 up to 150 quarts of blood. By doing this, they also detox and cleanse the entire blood too. The function of the kidneys is known to be of utmost importance because it removes the excessive amounts of fluids, it is able to elimiate the excess waste and provides the body with balanced fluids. This means that when the kidneys are in danger, the entire body as well as the entire health of a person is in danger. This is why it is of extreme importance that you detect the signs that the body sends to you if you want to prevent any complications from ever happening. In addition we provide you with all of the signs which show you that your kidneys are in danger. Swelling – the swelling is known as the most visible and common sign of having some issues with your kidneys. This is a symptom that appears because there is an excess amount of water inside the body, which mainly causes bloating in the joints, limbs or even the face. Changes in the urine – you can experience: difficulty urinating, feeling pressure while you are urinating, having a pale or a dark color urine, less frequent or more frequent urination, urinating in smaller or bigger amounts, having a foamy urine, or having some instant or uncontrollable urges for urination. Rashes on the skin – whether there are accumulations of waste and fluids in the body, there will be some changes noticeable on the skin, which usually include skin rashes, an unhealthy look and itchiness. The use of various cosmetic products as well as creams is not that much effective because the problem is mainly in the kidneys. This is why a suitable medical checkup is much needed to find out what is going on with the kidneys. Fatigue – the kidneys also have one other function other than removing the toxic waste from the body and filtering out the blood. They also produce a hormone called EPO or erythropoeitin. This is a hormone that is able to stimulate the production of blood cells which carry out the oxygen all throughout the body especially in the places where it is most needed. 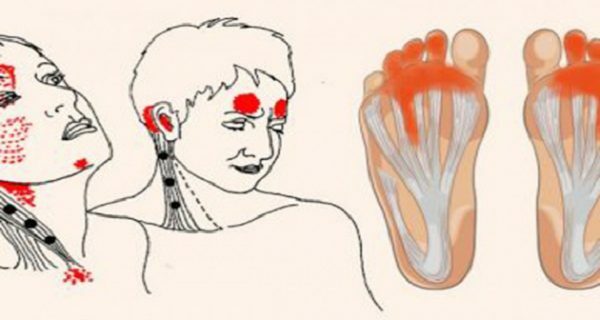 If there happen to be insufficiency in red blood cells, you will experience fatigue, as well as some other issues with the brain as well as the muscles. This could easily lead to a bigger issue, such as anemia. Shortness of breath – when the kidneys are not functioning at an optimal level, there are not enough red blood cells and insufficient levels of oxygen. This can easily lead to building up of toxins inside of the lungs and it can further cause shortness of breath as well as other respiratory issues. Metallic taste inside the mouth – the improper function of the kidneys as well as the large amount of accumulated waste inside of the body will cause bad breath issues too. This can easily lead to changes in the food you consume. No concentration and dizziness – furthermore, the improper function of the kidneys will cause low levels of oxygen in the brain, and this will make you feel dizzy and forgetful. It can also have a big impact on the concentration, focus and memory. Pain – this particular symptom will definitely show youthat there is something wrong with your kidneys. Feelling some pain in the upper part of the back can be easily connected to kidney issues. This kind of pain can be caused by kidney stones, kidney failure and kidney infection. All of these symptoms that the body manifests should definitely not be ignored by you. 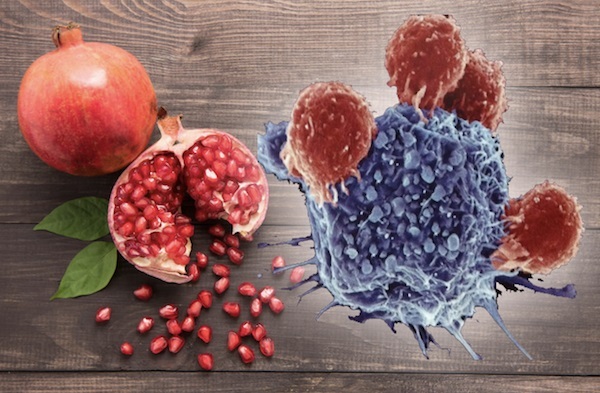 Try increasing the intake of vitamins, minerals and foods rich in antioxidants.